We present an apartment on the first floor of a family house situated on 560 square meters of private land. 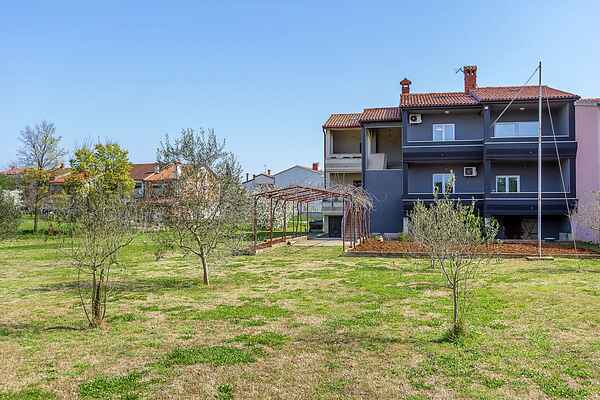 This fully furnished and well equipped apartment in Pula can accommodate up to eight people, and consists of three bedrooms, a kitchen, a living room with direct access to a furnished balcony, and two bathrooms. Guests can use a shared garden with the possible usage of grill, and are provided with three parking spaces within the property.